If you were about to invest in Bitcoin, Ethereum or other cryptocurrencies, read this first. Cryptocurrencies are one of the world’s most controversial assets. Those in favour insist fortunes can be made by investing and trading digital money. The more sceptical, however, argue it’s complicated and a fast track way to losing your savings. Recent research from the FCA has warned that many buyers see cryptocurrencies as a way to 'get rich quick' and that "consumers may not fully understand what they are purchasing". Cryptocurrencies have actually been around for more than a decade, with Bitcoin starting its life in 2008. A still-unknown scientist using the pseudonym Satoshi Nakamoto unveiled his concept in a whitepaper entitled: ‘Bitcoin: A peer-to-peer electronic cash system’. While Bitcoin remains the dominant currency, there are now hundreds of other players in the market, including Ethereum, Peercoin, Litecoin and Ripple. Having soared in value during 2017, reportedly turning early investors into overnight millionaires, they have since endured a rockier ride with plummeting valuations. And despite the hype, just 3% of UK adults have bought crypto assets, according to the FCA. So, are they worthy of further investigation or should you steer clear? This article is part of a wider series on investing, covering all areas from stocks and shares to buy-to-let, peer-to-peer and alternative investments. Click here to view the full guide. 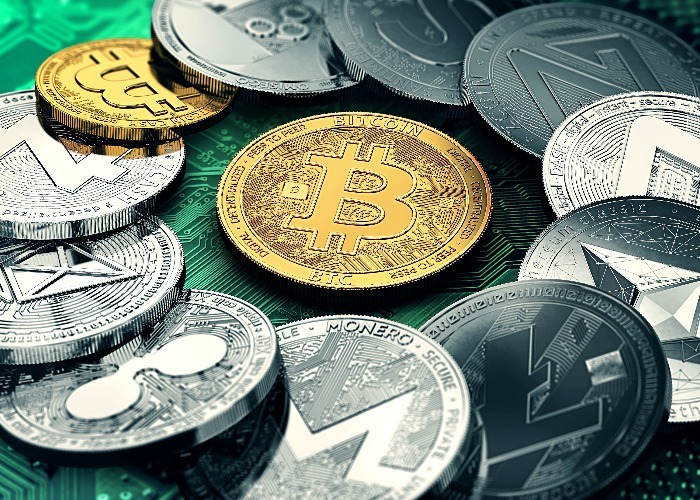 They are forms of digital money that can be used to purchase real-world goods, kept as an investment, traded, or even used to buy other cryptocurrencies. For example, Microsoft accepts one form of cryptocurrency known as Bitcoin in its Window and Xbox stores. They can be used to buy games, movies and apps. These ‘currencies’ use cryptography, defined as the ability to encrypt information, often alongside a system called Blockchain, which is basically a record of transactions made. As they operate with a central bank or single administrator, they are often referred to as decentralised systems. It’s complicated but some of these currencies are ‘mined’ by people with high computer processing power. They receive virtual coins - with a maximum number in circulation. Digital currency enthusiasts believe they will shake up the monetary system in the same way Uber and AirBnB have done to their respective industries. They point to the fact trust in traditional markets is low in the wake of the financial crisis a decade ago and people are increasingly comfortable with the online world. The combined market value of all cryptocurrencies was $27bn, according to the Centre for Alternative Finance’s ‘Global Cryptocurrency Benchmarking Study’ in 2017. The department, which is part of the University of Cambridge, estimated there were between 2.9 million and 5.8 million users of cryptocurrency wallets, which are used to hold the currencies. A rollercoaster is a fitting description of the cryptocurrency markets in recent years. The price of Bitcoin hit the headlines as it zoomed up from less than $700 in March 2017 to $18,900 in December 2017, points out Patrick Connolly, a chartered financial planner at Chase de Vere. “This is a staggering rise for any investment, although those who were enticed by the hype and expecting further gains are probably now regretting it now, as the price has since slumped back to $3,570,” he says. He points out it isn’t alone. “There are many other cryptocurrencies in operation with virtually all investors having suffered heavy losses in recent times,” he adds. You can either buy cryptocurrencies at the current market value – or trade based on price movements via financial strategies such as a spread bet or CFD (contract for difference). With the former, you need to have what is known as a virtual wallet in order to buy and hold cryptocurrency. Do your research before selecting a virtual wallet provider. With the latter, you don’t hold the actual currency, but are merely speculating on movements you expect in the underlying market. There are pros and cons with each so consider trying your hand via a demo account, which are offered by several investment platforms. It's also important to consider how you could exit the market. The FCA has warned that many crypto asset holders don't appear to have any strategy to sell their assets and that doing so can be difficult. Financial challenge: can I learn to trade stocks and currency? Many people supposedly made a lot of money when cryptocurrencies took off a couple of years ago but this world is still very much in its infancy. Anyone getting involved must accept the journey will be extremely volatile so it certainly isn’t somewhere to stash your life savings and sleep easy. It should be treated as a speculative investment using money that you can afford to lose if the bottom suddenly falls out of the market. Patrick Connolly at Chase de Vere doesn’t recommend these products to clients as he believes they are simply too risky. “It’s almost impossible for investors to understand the mechanics behind these investments and there is no protection in place if it all goes horribly wrong,” he says. He points out that people often look for the next big investment opportunity to deliver stellar returns, but many are left disappointed. “The vast majority who invest in anything because they believe the hype end up sorely disappointed and heavily out-of-pocket,” he says. Cryptocurrencies are not currently regulated by the Financial Conduct Authority. However, firms that sell cryptocurrencies derivatives, such as futures, contracts for differences (CFDs) and options do need to be FCA-regulated. You can check the FCA register here. The Cryptoassets Taskforce, established by the Chancellor of the Exchequer last year, has been investigating cryptocurrencies with a view to possible regulation. “Online consumer surveys suggest that cryptoasset ownership rates among UK survey respondents are between 5-10% (in line with other G7 economies), however figures for the wider population are likely to be lower,” it read. Its final report noted that although the UK wasn’t yet a major player in the cryptoassets world, although interest and activity in them had grown over the last few years. Mainstream financial services firms, meanwhile, were found to be taking their first steps into this market. “The Taskforce has concluded that cryptoassets pose a range of risks, notably to consumers (who may face large losses), market integrity (due to manipulation and other market-abuse style strategies) and financial crime,” it stated. Facebook scams: will they take complaints about fake adverts seriously? UK consumers are being increasingly targeted by cryptocurrency-related investment scams, according to the Financial Conduct Authority. Scam firms can manipulate software to distort prices and investment returns - and may trick people into buying non-existent cryptocurrencies. Fraudulent websites offering cryptocurrency investments are also fabricating recommendations from experts such as Martin Lewis of Money Saving Expert (read more about these scams here). An example is pictured below. In just one month there were 21 such reports, with a total reported loss by unsuspecting victims of more than £34,000, according to Pauline Smith, director of Action Fraud. “Anyone who invests in cryptocurrencies should thoroughly research the company they are choosing to invest with,” she said. It’s easy to produce a professional looking website so don’t automatically assume a company is authentic on this basis alone. Check the FCA’s warning list of scams first. Don’t be rushed into making a decision. If you are being pressurised then walk away immediately. Seek professional advice from an independent financial adviser if you’re looking to make an investment rather than getting dragged into a ‘get rich quick’ scheme. Cryptocurrencies could develop into a new asset class in the future, but they need more regulation and security to provide more trust and transparency, according to a report from Deutsche Bank Wealth Management. The study found that cryptocurrencies were a ‘highly speculative and unregulated risk investment’ and concluded money functions and scalability problems meant it couldn’t be assumed that they would replace real currencies. “We rank cryptocurrencies as a risky investment, because recent price increases are in part based on speculation,” it read. “Volatility is very high and reached 80% and the whole sector is generally unregulated." Please note that the purpose of this article is simply to inform and should not be seen as an endorsement of cryptocurrency trading. We strongly advise you seek financial advice before making any investment decisions.